I ended up watching the USA match twice yesterday. I got home in time to catch it, then when the Hubs got home we watched it again. To say I'm proud of the US Men's Soccer team would be an understatement. Yeah we lost, but damn we fought hard! 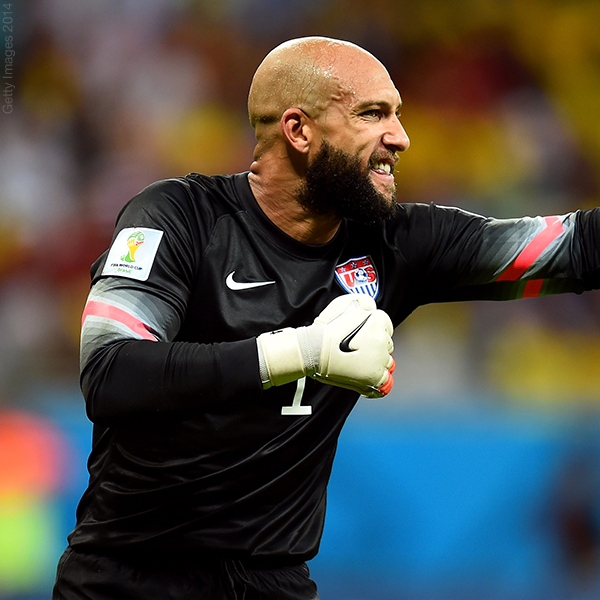 Tim Howard had 16 saves!! 16!! That's the most in World Cup since 1966! we didn't go down without a fight! USA pride is alive and kicking! We're so proud of all of the team for going as far as they did! Congrats guys on a World Cup team that amazed the world!